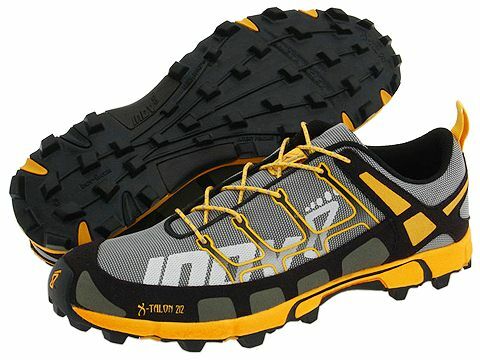 The Good: Legendary Inov8 blister-free comfort with snow-tire grip. The Bad: Narrow 'European' fit not ideal for my inbred webs. Take from box, throw at trail! It was a couple of days prior to the T42 when I took possession of my Talon212s. Too soon to give them a genuine outing I decided not to risk it and slid them back into their box. There they stayed for some time until one wet weekend in June they got their first introduction to Kaimai muck and some classic kiwi trail. As soon as I slid my foot into them the alarm bells sounded. My abnormally wide foot was being squeezed across the metatarsals and while the fit everywhere else was fine I was worried that my feet would feel like my knuckles would were I to sit on my fist for an hour. I made some lower lace adjustments and headed out with no option but to see what the next 90 minutes would bring. My route was a popular loop from the end of Hot Springs road near KatiKati in the Bay of Plenty. Overnight rain has made the typically wet rooty mess that is the Kaimai ranges into the slippery mud-fest I was anticipating. An acid test of any shoe I was eager to see how my first ever pair of Inov8s would fare. The brand is legendary for all but guaranteeing a blister-free debut run so I wasn't at all surprised to feel no movement or heat spots that precede blistering. As the trail climbed closer to the days high point the gnarled filth worsened until the route resembled an elaborate doodle by H.R Giger. No complaints from my 212s that were really being put through their paces. The racy yellow decals and matching laces now dark brown matching everything else below my knees. If you've ever seen this particular model you'll immediately notice the aggressive rubber tread akin to the sprigs on your old footy boots. It was going to take more than the Kaimai quagmire for me to loose traction and so it was that I reached Te Rereatukahia hut without incident. Not a single fall and nary a slide worth mention, my shoes had shown more grip than a teenage boy with an lingerie catalogue. An easy downhill roller back to the car and the only remaining test that of exposed rock made moist by cloud cover and drizzle. Not a perfect score here but it's hard to imagine any shoe laughing off a surface more slippery than Winston Peters dipped in Teflon. It is possible perhaps that the actual amount of shoe-to-surface contact is reduced as the shoes hostile tread pattern is more at home biting through trail than it is providing rubber-to-rock adhesion. Many kilometers of testing terrain would follow that first outing including some ultra distance at The Great Cranleigh Kauri run and I can happily report that all 10 toe nails survived and no great hardship was endured by my metatarsals. Perhaps where the 212s have been a real stand out shoe for me has been in the Harrier Cross County Season. Where in years gone by club runners have screwed longer spikes into their track shoes and ski'd their way around paddocks each winter there now seems an endless number of choices born out of this crazy thing called trail running. The Talon212s have become my default race shoe when a wintry Saturday requires thermal layers, a tough pill and shoes with more teeth than cello filled movie courtesy of Steven Spielberg. The wear on my pair so far is minimal and having heard story of people struggling to good mileage out of some of their other Inov8s I can report no real problem despite my fears that my fat feet would burst out the sides within the 1st 10 minutes. The tread too appears to be holding up fine and no sprigs appear broken and wear is minimal however I am guessing much more than a half marathon on road and they would be blunter than a celebrity roast of David Hasselhoff. Even content in 'Clydesdale mode' in an Ultra Marathon. My legs may not have survived by my toenails did. Totally agree that these are the business for trail racing in NZ conditions. I use them for the winter super long Xterra events and they nail it in the wet muddy conditions. I have done nearly a 1000 k in my first pair and they are all good even it the grip is a little worn. I usually only race 20 to 35 k in them but in the weekend just gone I did the Speights West Coaster marathon and my feet are fine. A must have shoe for trail running.